16. John Williams - Who Are You People? I love John Williams' music for Close Encounters. One of his best. Thanks! 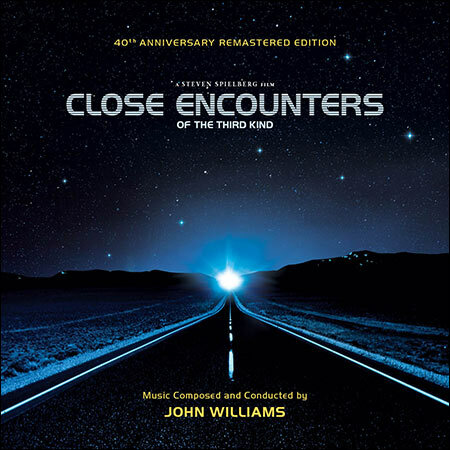 While the original movie version of Close Encounters of the Third Kind is not one of my favorite films, the original score by John Williams is one of my favorite original soundtracks of all time. This puts it right up there with the 1959 Ben Hur, the 1960 The Alamo, the 1956 Around the World in 80 Days, and the 1960 Exodus. Of course I could also add the 1960 The Magnificent Seven, and the 1968 The Good, the Bad and the Ugly for good measure. The story is science fiction and leaves a lot to be desired, but the special effects give the overall picture a good rating. Where the movie bogs down is the center section where Roy tries to come to grips with his UFO phobia and fails miserably. Otherwise, Williams is at his best in this score, it compares favorably with the flying sequence in E. T., another Williams gem. Williams, who deservedly earns all his awards and nominations, may well be the most prolific motion picture composer of our time. The five note theme used as a way to communicate with the aliens is pure genius. The 12-minute sequence at the film's finale, is simply superb. Williams, who also scored big with Jaws, Earthquake, Star Wars and Raiders of the Lost Ark, not to mention earlier works such as The Reivers and The Cowboys, can be assured a place in the Motion Picture Music Hall of Fame if such a place exists. If it doesn't, it should.